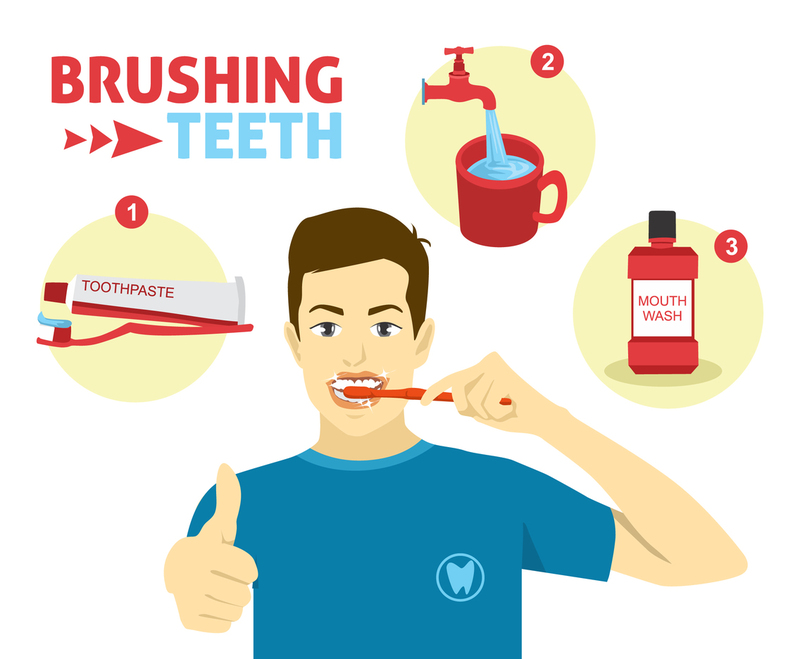 Vector illustrations that are related to brushing teeth activities. There are illustration of toothpaste, water tap with a gargle cup and a bottle of mouth wash also a man who is brushing his teeth. This illustration set can be good as design element to promote the importance of dental care in poster or flyer.